My office can get a little crazy and my supplies end up everywhere, especially after finishing a project. 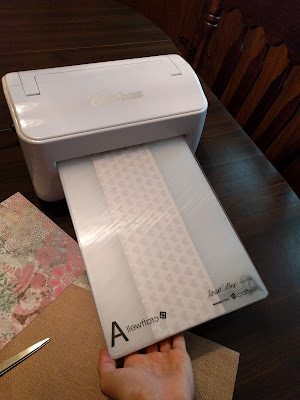 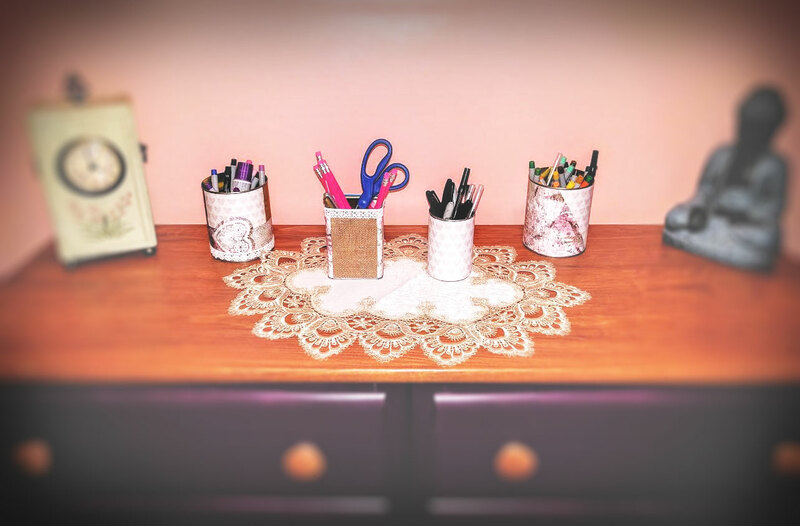 I wanted to create some simple storage containers that I could leave out on my bureau or desk and not be visually assaulted by another cluttered mess. 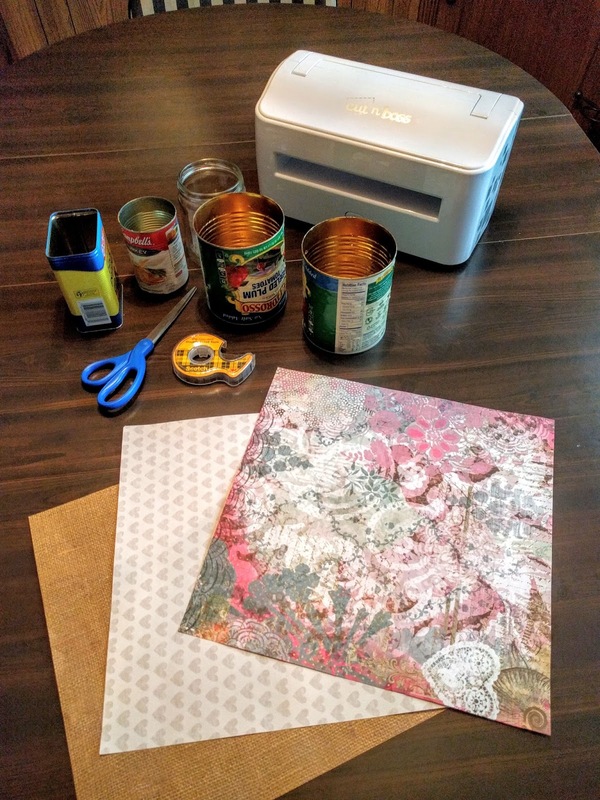 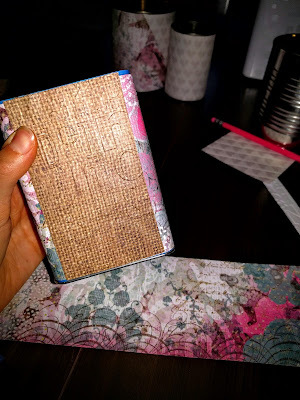 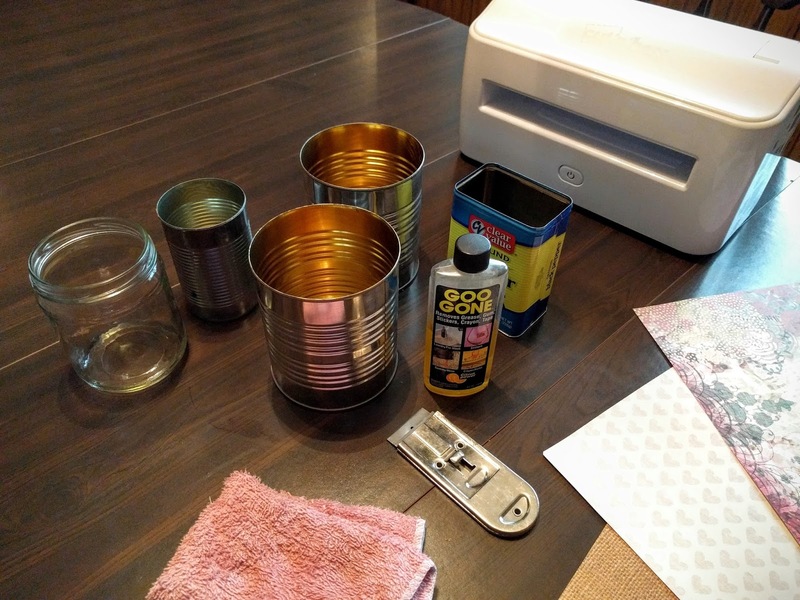 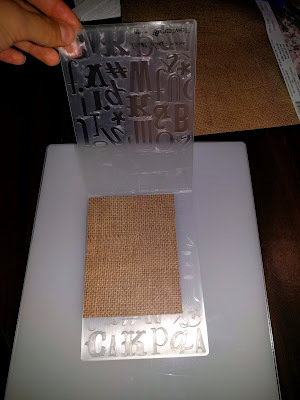 I used the Cut ’n Boss to repurpose these cans into beautiful storage containers for my craft supplies. 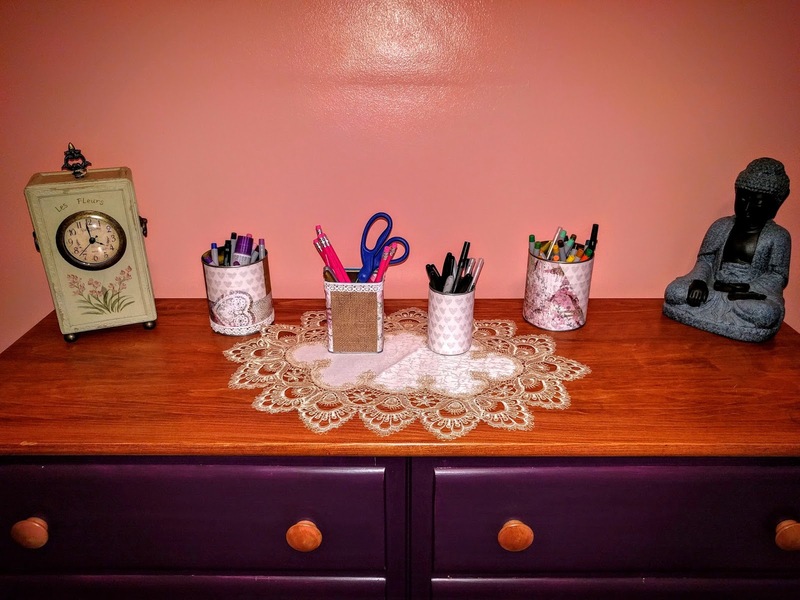 I was able to clear up the clutter and display my supplies at the same time. First, I removed the labels from the cans using soap, warm water, and Goo Gone. I also used a razor blade to scrape off some excess glue on the cans and then rinsed and dried them. 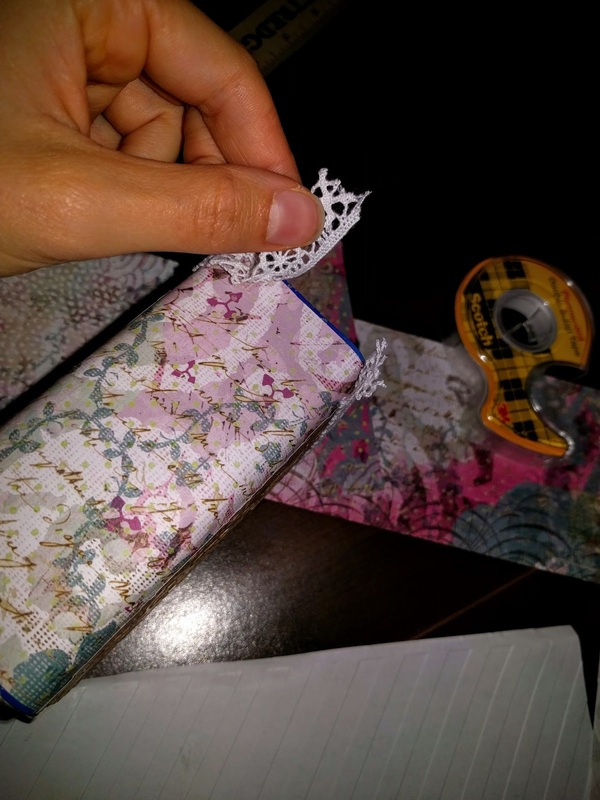 I measured the cans and cut the strips of patterned paper to size. 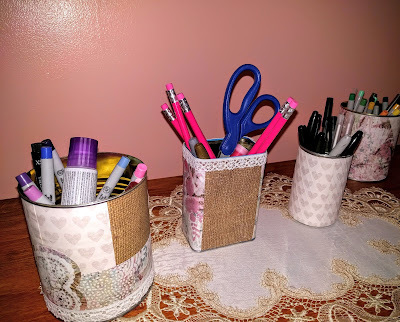 I fed the papers through the Cut n’ Boss to add pattern and texture to my containers and give them a nice pop. 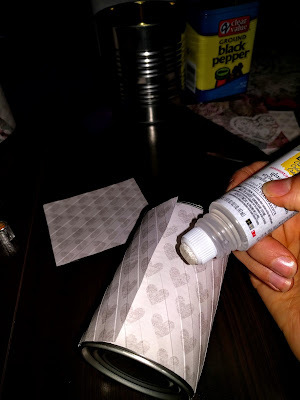 I mostly used double sided tape to attach the paper to the cans. 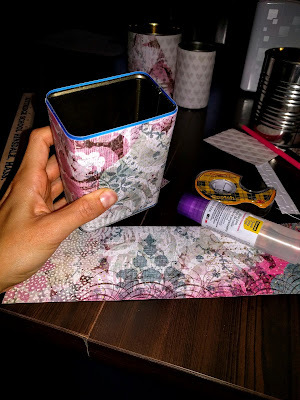 I used the glue stick for the edges that weren’t laying perfectly flat. 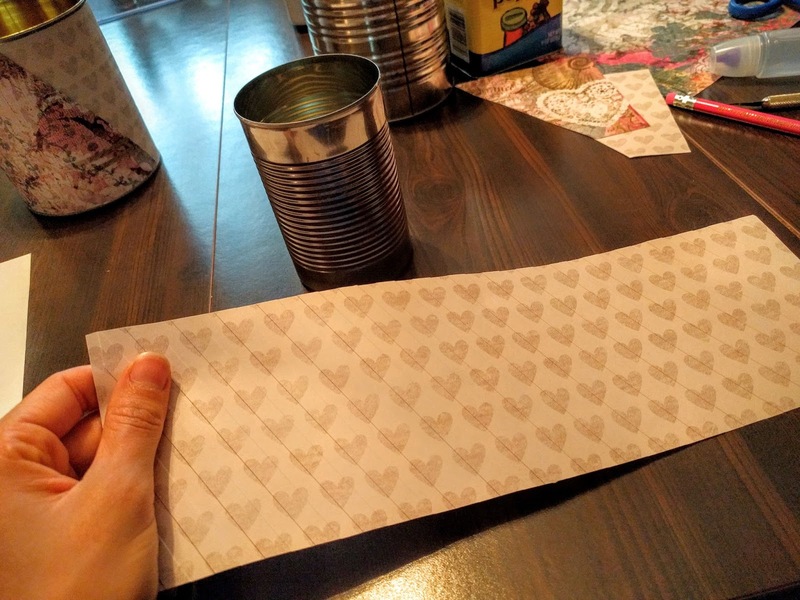 I also used an X-acto knife around the rim of the can to even out the edges of the paper if they weren’t perfectly aligned with the edge of the can. Now my arts and crafts room is that much more organized plus the containers are a work of art in themselves! Great projects! Loving the vintage look of your containers!